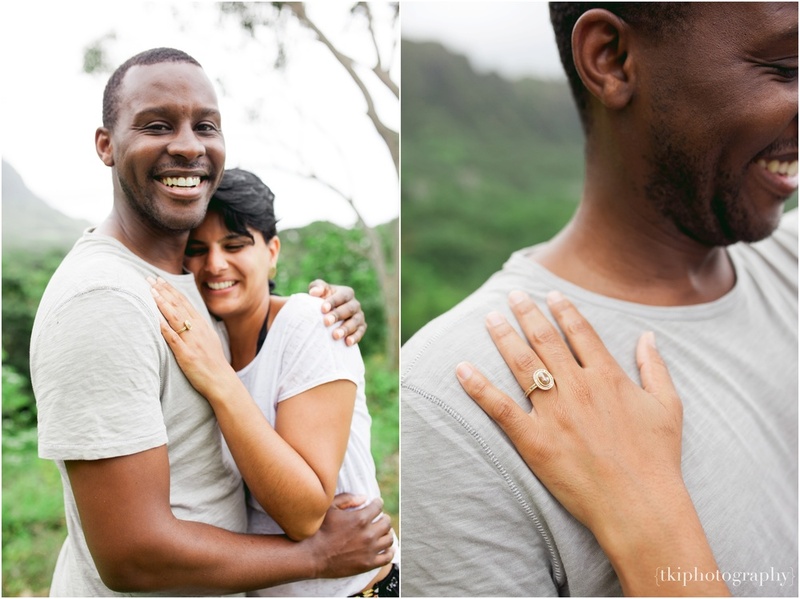 After the weeks of planning this wonderful surprise, I can say it was an absolute success for Robert and Sitar! 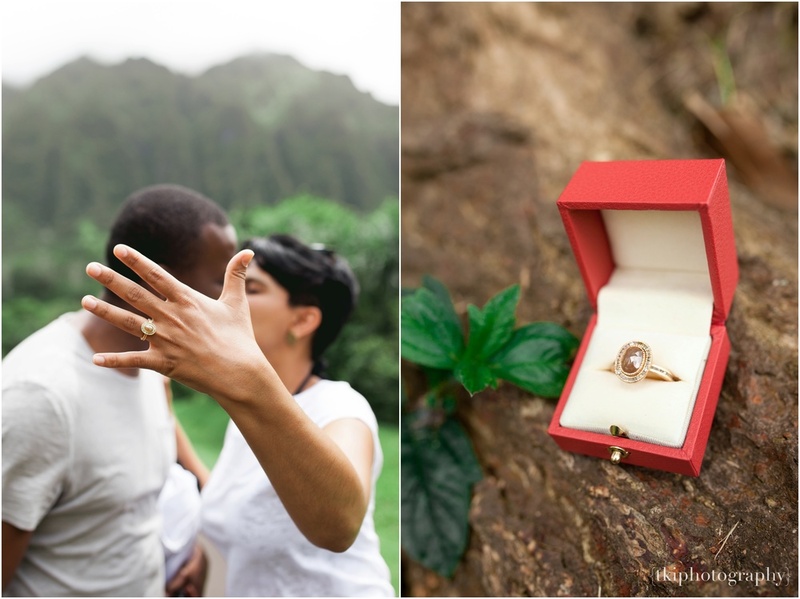 Robert contacted me before he and his fiancé came down to visit the islands and told me that he wanted to arrange a surprise proposal for his girlfriend. 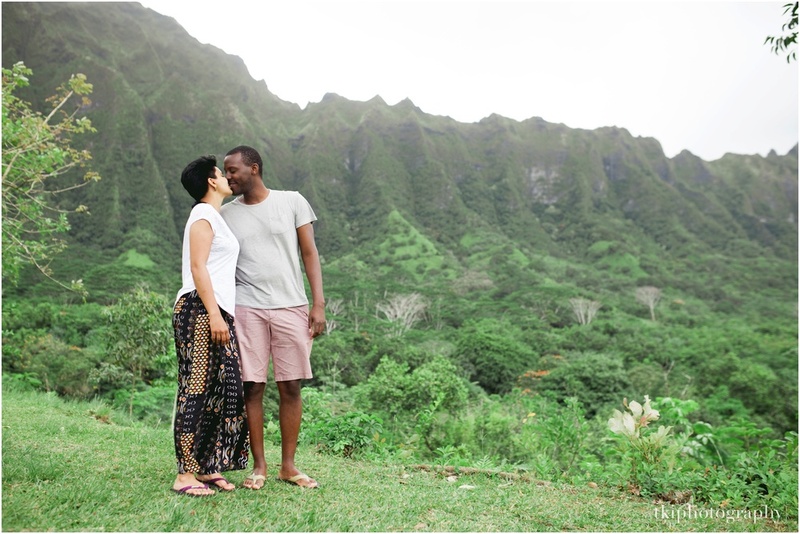 After going through different ideas, I thought it'd be best to choose a location that is secluded, but also has amazing scenery. 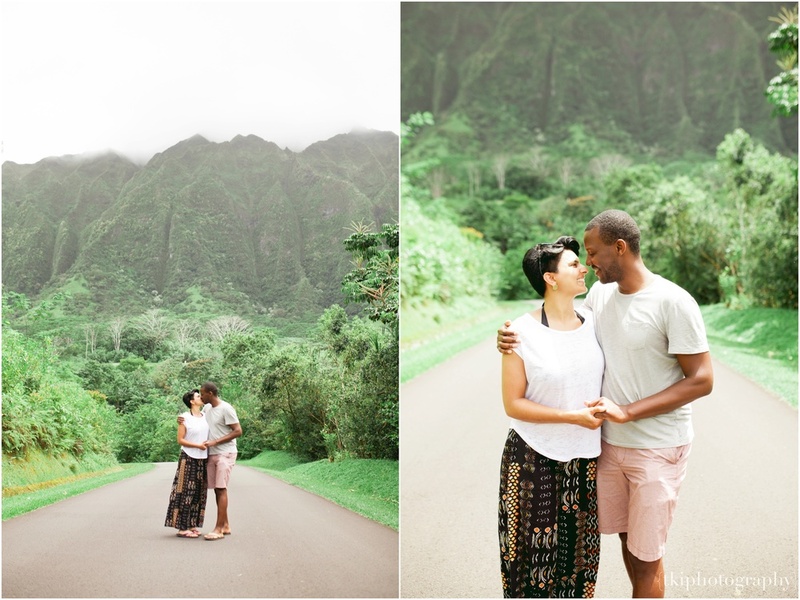 Ho'omaluhia came to mind - the luscious greenland with the majestic Ko'olau mountains in the background created a beautiful, yet intimate setting. My assistant and I waited in anticipation for their arrival at one of the lookout spots. As we pretended to be like tourists with our cameras, I see a vehicle turn up into the parking lot to what would be Robert and Sitar.